Each year, nearly half a million Americans die from smoking. But, as the CDC reports, lung cancer is responsible for little more than a quarter of these deaths. Graphic: CDC. Cancer sticks. Coffin nails. Tarlboro Lights. Despite the harsh nicknames and surgeon general warnings, cigarettes remain alarmingly popular: More than 48 million Americans smoke. This despite widespread agreement that smoking is America's most dangerous addiction -- the Centers for Disease Control estimate that one in five deaths in the United States is smoking-related. Earlier this summer, the World Health Organization launched a new Framework Convention on Tobacco Control, an agreement among signatory countries to impose social, legal, and regulatory controls on tobacco use and distribution. As of this posting, 47 countries (including Canada and the U.K.) have signed on. The United States is not among them. Men who smoke increase their risk of death from lung cancer by more than 22 times, and their risk of death from bronchitis and emphysema by nearly 10 times. Women who smoke are12 times more likely to die of lung cancer and 10 times more likely to die of bronchitis or emphysema than non-smokers. Smoking triples the risk of dying from heart disease among middle-aged men and women. 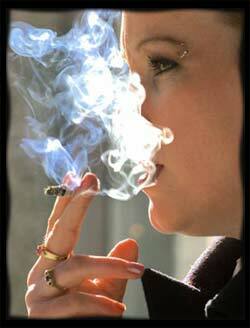 The World Health Organization estimates that smoking causes about 17 percent of all deaths from heart disease. Lifelong smokers have a one in two chance of dying from a smoking-related disease. When a smoker dies from a smoking-related disease, he or she loses an average of 12 years of life. Smoking significantly increases the risk of erectile dysfunction. In a recent study, men who smoked more than 20 cigarettes a day had a 60 percent higher risk of the problem, compared to men who never smoked -- even when factors like age and blood pressure were controlled for. Smoking may lead to an earlier menopause: On average, women smokers go through menopause two years earlier than non-smokers, and are at a greater risk of developing osteoporosis. Stomach ulcers are made worse by smoking, and wounds, including surgical incisions, in smokers take longer to heal. That smoking is bad for your health isn't exactly headline news. But even if you think you've heard it all, keep reading. Provocative new research is stirring debate in areas we thought were settled. Those low-tar, additive-free, "natural" cigarettes are better for you than a Marlboro Red - or are they? Secondhand smoke causes cancer -- or does it? Nicotine is addictive, but not deadly -- or is it? Coupled with the U.S. refusal to sign the WHO anti-tobacco agreement, research news can get lost in a haze of competing information (and interests). We're here to clear the air and introduce you to the army of researchers who are hustling to help you quit. The need for nicotine is an old story. Before Camels, there were pipes, chew, snuff, and hand-rolled cigars. Commercial cigarettes only became widely available after the arrival of the cigarette-rolling machine in 1881. Now, mass produced cigarettes are the most popular vehicles for tobacco consumption -- and they are at the heart of the tobacco debate. The cigarette: Dried tobacco leaves rolled into a neat paper tube, right? Wrong. One cigarette has up to 4,000 ingredients. One of these, of course, is tobacco. 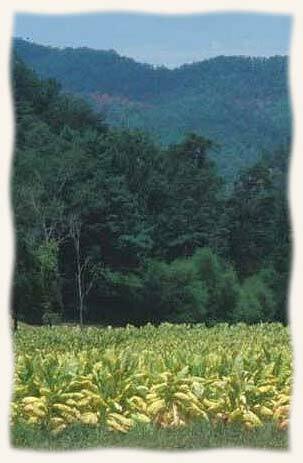 But only some of the tobacco in a cigarette comes from the leaf of a tobacco plant. Much of it is a paper-like product made from mashed tobacco stems and other extra parts of the plant. This tobacco, known as "reconstituted tobacco" or "homogenized sheet tobacco," is artificially infused by manufacturers with nicotine and a few -- 600 or so -- chemical additives. Among the additives are nasties like ammonia (which helps deliver nicotine) and benign ingredients like chocolate (which masks tobacco's natural, unpleasant flavor). Cigarettes are also stuffed with "puffed" or "expanded" tobacco, which allows for more cigarettes per pound of tobacco and less tar in the smoke. Sounds good, but consider this: To plump the tobacco, manufacturers soak it with freon and ammonia before freeze-drying. Even the paper from a manufactured cigarette contains chemicals, including titanium oxide, which speeds up burning and may contribute to the particular ferocity of fires triggered by burning cigarettes. Still, experts say, tobacco itself remains the chief culprit in the cigarette's attack on health. Burning tobacco produces carbon monoxide, a major contributor to heart disease. And the nicotine naturally present in tobacco leaves is not only addictive -- research increasingly suggests it is dangerous, too. One obvious solution is to quit. But we'll get to that later. For now, what about all those improved, wholesome cigarettes? In search of the safer smoke.